Join us to hear Tim present the NEXT 7 most common mistakes he has seen being made in flower shops the world over since 1997 AND he’ll provide solutions to those problems! This is a fast-paced, idea-packed workshop and a must-see for every successful florist. 1. Letting staff break the rules! 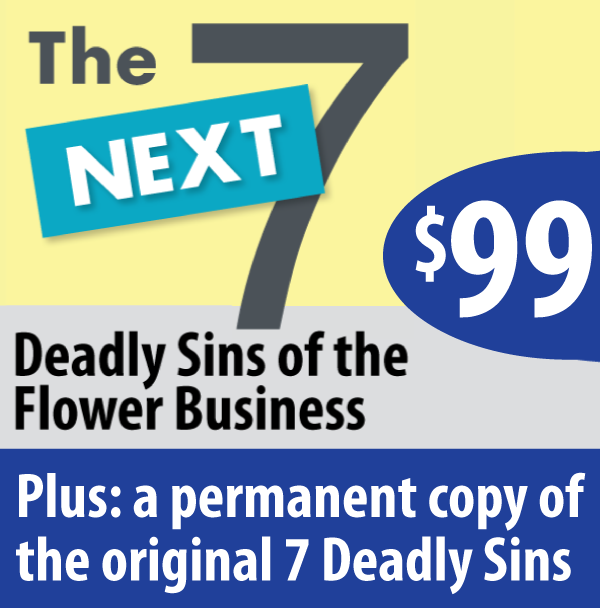 ​Purchase the webinar to learn the other 4 sins and how to avoid them! ​The 7 Deadly Sins of the Flower Business. As a special bonus, you can get BOTH webinars and save big! You'll receive a permanent copy for your educational library! You'll receive permanent copies for your educational library! 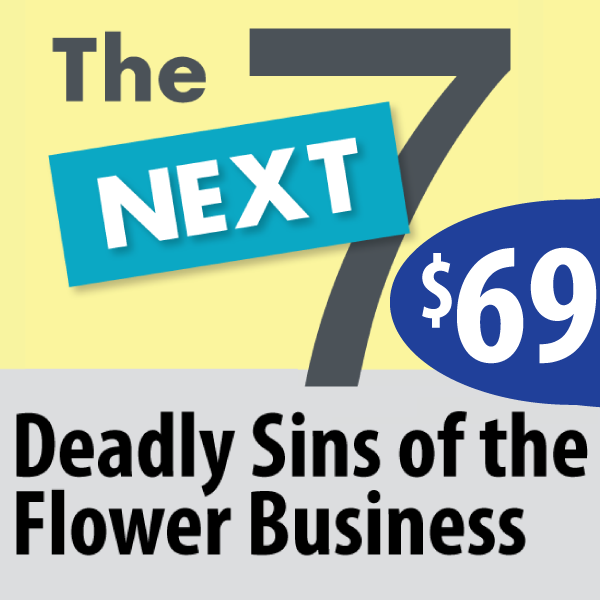 In the first 7 Deadly Sins of the Flower Business, you'll hear Tim present the 7 most common mistakes he has seen being made in flower shops the world over (and resolutions to these problems!). Then in the NEXT 7 Deadly Sins of the Flower Business, hear Tim present the NEXT 7 most common mistakes he has seen being made in flower shops the world over since 1997 AND he’ll provide solutions to those problems!